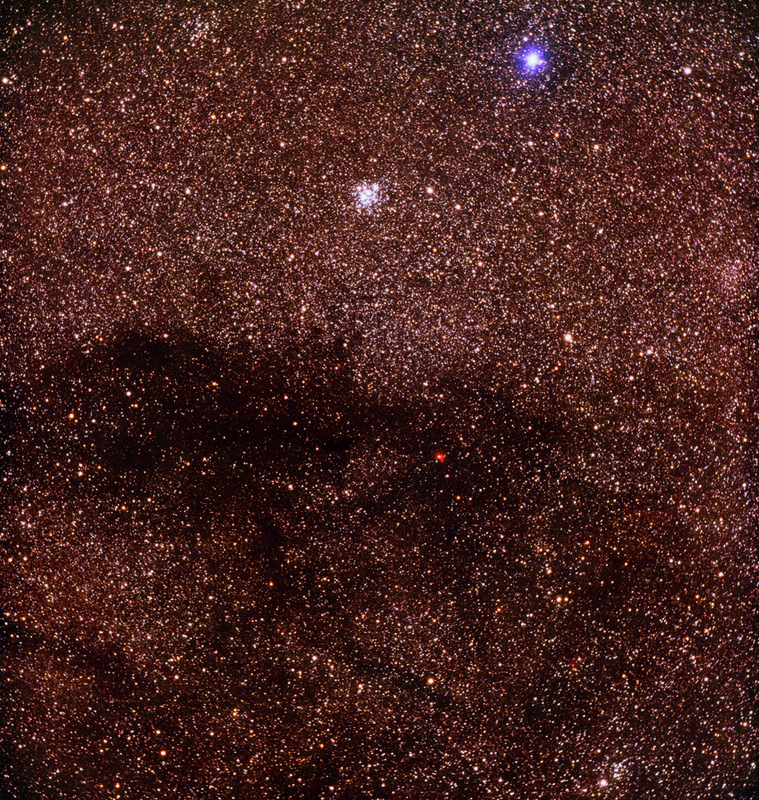 The bright blue star at upper right is named Mimosa (Beta Crucis). The Jewel Box is the cluster at top center. The small orange emission nebula near center is RCW 71.